Much of current societies states of health are determined by ways of nominating illness and treating with pharmaceuticals, rather than by cultivating our bodies internal capacity to naturally bring ourselves back to a homeostatic state of being. In this two-day educational workshop training Celia, Clare and Edwina combine the very best of evidenced based practice with traditional Eastern philosophy to assist you in cultivating a resilient body-mind which can innately attune to its homeostatic state. Senior teachers and professional social workers in the field of trauma, grief and loss to bring together an educational weekend that combines both practice and theory of mindfulness, yoga and more in order for you to assist others. 'Who we are’ is a complex combination of evolution, ancestry, experience, chemistry, chance and the choices we make. It is now a known scientific fact that trauma is stored in our body. According to the Ancient yoga sutras; our face, body and our posture store the history of our lifetime. Metaphysically and now proven scientifically, our past is stored in our cells, our genes and our DNA. Trauma not only affects our cells, but it changes our body, our gut, our brain wave patterning, our nervous system and our brains. In this course we will use yoga techniques to explore the way grief and trauma can affect the nervous system, the mind, our muscles, organs and fascia. Furthermore, we will bring presence to body and breath, bringing freedom of movement and mind into the present. Breathing together, moving together, touch and eye contact with trusted others help us to dissolve the past that lies in our body, even our genes. This 3 hour workshop will introduce the theory and research behind this evidence informed yoga for grief, shock and trauma. This workshop is for those with an interest in learning about trauma informed yoga as therapy and how trauma is stored in the body, the face, the breath. The session will also finally explore the evidence base around using compassion focussed therapy and compassionate mind training to overcome PTSD and trauma. This session will be a wonderful start to the entire weekend of training and allow you to experience first hand the benefits of trauma informed yoga and compassion focussed therapy. Why yoga can be one of the best ways for overcoming trauma, anxiety and some mental health afflictions. Edwina Kempe offers an immersive experience guiding you specifically in the practice of assisting those who have suffered trauma. Many medical practitioners and researchers are now validating the reality that the body keeps the score. Trauma Sensitive Yoga is a practice that can bring an awareness of the body, opening avenues to healing. This 3 hour workshop is a taster of Trauma Center Trauma Sensitive Yoga (TCTSY), the clinical yoga program developed at the Trauma Center in Brookline, Massachusets for the treatment of complex trauma and PTSD. You will get to experience a Trauma Sensitive Yoga practice, as well as be introduced to the theory and research behind this evidence-based model of yoga. This retreat will bring you awareness within in order to open the avenue towards and is for those with an interest in learning about trauma-informed yoga. Please note that it is not intended as a comprehensive training workshop, nor a therapeutic intervention for those with PTSD or Complex Trauma. Please feel free to contact Edwina on 0468 746 121 or edwinakempe@gmail.com if you would like to know more or to discuss whether this workshop will be useful for you at this time. How this theory translates into Trauma Sensitive Yoga practices, in particular how trauma sensitive yoga invites people to safely experience their bodies. Continuing throughout the weekend, Clare Sillence, Accredited Mental Health social worker and trauma specialist, will further your knowledge and informative practice by guiding you through Mindfulness Exercises as well as some therapeutic meditations for stress, anxiety, trauma. Clare’s teachings have a strong focus on Acceptance Commitment Therapy. This session will complement the entire weekend of training and allow you to experience first-hand the benefits of healing trauma. Clare’s practice strongly focuses on her training as an ACT therapist. I am a social worker/counsellor and ACT therapist and have provided support and counselling to children, young people and adults since 1995. My practice is based on a strong evidence base which supports people to live the life they choose, determining their life direction to find a more rewarding, fulfilling and enriched life. ACT has supported me to let go of struggling with uncomfortable thoughts and feelings and live the meaningful life I choose. Over the years working with, and supporting children, young people, women and their families, I have gained insight into the difficulties and issues that children and families face when trying to make change. I am committed to working with clients to help them to find what matters to them and let go of the struggle with uncomfortable and painful thoughts and feelings, whilst learning how to be flexible, mindful and accepting. I have been providing support, advocacy and interventions to children, young people and adults to facilitate finding ways to empowerment and choice. In addition, I have provided training and supervision to other professionals in the areas of children’s trauma, attachment and sexual violence and abuse, and developing strategies for working with clients with a trauma history. One of my key values is to continue to develop and improve on my skills and knowledge and to be able to share these with others. I have attended many trainings and workshops such as Solution Focused Therapy, Trauma focused therapy, Narrative therapy, Expressive therapies, Play therapies, Mindfulness and Acceptance Commitment Therapy (ACT). How ACT can support people to shift their thoughts and struggles in order to live a more enriched and meaningful life. How to incorporate an ACT based mindfulness practice into your yoga classes and methodology. The negative effects of trauma on the brain can be healed with the practice of mindfulness, which is brain neuroplasticity in action. Studies of the brain in both trauma and also in mindfulness on the brain provide direct correlation in the following areas: Prefrontal cortex, amygdala, hippocampus. Mindfulness is an imperative neural skill to develop on a journey toward an integrated state of being. In recent years there has been much research dedicated to the validity of the historical meditations for pacifying the mind in relation to holistic wellbeing. That is, being in a state of equilibrium and free from suffering involves taking time to learn and understand the practices of soothing and bringing states of peace to the mind as an every day practice. Together, we will explore the Neuroscience of Brain in Trauma & how to reverse the trauma using neuroplasticity and traditional meditation techniques. How to interpret the first three sutras with a gentle asana, pranayama, meditation practice, using long exhales and holding the breath out to quiet the mind. Use of the forward bend, exhale pranayama's to pacify the mind. At the end of this 13-hour face-to-face weekend you will be provided with materials for reading as well as a BIYOME certificate of completion. This course is intended to provide you will a substantial knowledge base in yoga therapy – this however does not qualify you as a yoga therapist. We use the term “therapy” as a reference to varied methodologies that enable well-being. 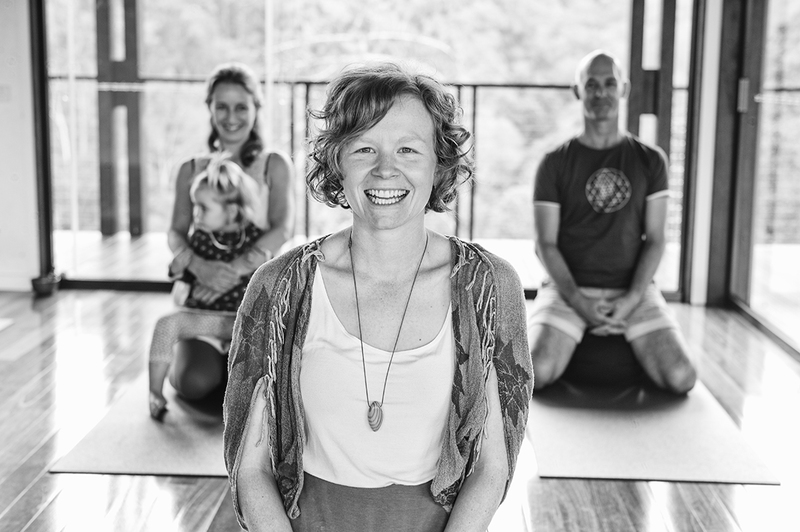 This weekend is a registered 20hr Yoga Australia training weekend and attracts CPD points for yoga teachers, therapists, allied health professionals. Interested members of the public who are engaged in the practices of yoga and meditation may attend for interest, education and higher-level learning. These short courses do not qualify you to become a yoga teacher or therapist. By registering and attending this course you agree to our terms and conditions and our waiver as located here. For more information on how to become fully qualified, please check our teacher training and yoga therapy training for more details.